If you looking for camping tips for first-timers then you have come to the right place. If you are new to camping, then your decision on where to go hinges on the amount of time you have and, whether or not you are close to wilderness areas. If you are just starting out, ask friends and associates about places where they have been and how far, and how long it takes to get there. If you can team up with a friend or relative who has done it before then that will be better. You can team up and benefit from another persons experience and you can also use their equipment. Seldom will you need two portable stoves. You may also be able to share a tent if it is big enough. You will still need to bring some of your own gear, but if you are going on a short weekend trip to a close destination, you can save money on items that your friends have brought along fro the trip. One of the best camping tips is to borrow equipment from campers. They will be more willing to part with some of their stuff if you explain that you are going on a short trip. Assure your lenders that you will make good on any damage done. If you cannot find people to lend you equipment, you will need to get your hands on several pieces of equipment. This includes a tent, sleeping bag, a sleeping mat, and depending on whether you are car camping or hiking to a destination, a backpack. The total cost of this equipment can run you about $900 or more. However, there are many outfitters that special in equipment rental for people that are new to camping. You have probably been thinking about your outdoor vacation for some time. You will need some idea of where you are going your first camping trip. Brochures, articles in outdoor magazines, or materials from your nearest state park should put you in mind of some good first-time destinations. Most parks have visitor centers full of maps and brochures that describe prominent features in the region. Phone the park and order their brochures in advance. State park brochures tend to have great camping tips for first-timers. Choosing a destination means choosing the right kind of campsite. Some campgrounds offer only primitive campsites with cleared ground for your tent. Other campgrounds offer running water and electrical hookups. While others may offer activities like canoeing, rowboats, and rafting. Campground brochures will indicate what is available. Just call ahead to see what is offered as far as amenities and activities. The nice thing about camping is that t does not coast that much. 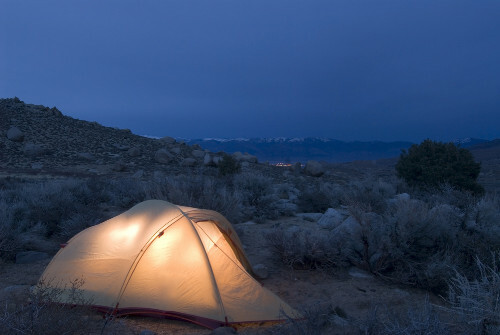 Campgrounds charge a nominal fee ranging from $5 to $20 or more. Sometimes there will be an additional charge for a parking permit if you will be leaving your vehicle in a lot while you are camping. You will find that any price you pay is modest, when you consider the beauty of the outdoors. Remember these camping tips when you are planning your first trip. Stewart James has written many articles about hiking and camping. If you want more information about the best Childrens Sleeping Bag, please visit the Child Sleeping Bag website. This site has in-depth information about sleeping bag for kids. Camping can be a memorable experience as you will have the chance to be with mother nature. Before camping, it is important to plan everything and you may find the rest of the article with useful tips. When you plan everything, you will surely enjoy your experience.